This blog would cover the settings to configure Mail Server with SAP Cloud Platform Identity Authentication. By default, SAP Identity Authentication uses own mail server to send e-mails to registered users. Typically example is when an user complete a registration form for Single Sign On, she/he would receive an activation e-mail from notification@sapnetworkmail.com. Based on September 2018 release, SAP Identity Authentication supports the configuration of Mail Server to be used for e-mails sent to users in different application processes (self registration, on behalf registration, invitation, forgot password, reset password, locked password). As described in SAP help, once tenant administrators configure mail server, all e-mails will go through this new configuration. If you want to return to the default settings (using SAP own mail server), remove the configuration. Only STMP is supported. POP3 and IMAP are not supported at this point. As part of standard protocols used to secure email transmissions, STARTTLS is supported and always used for the communication with the server. Transport Layer Security (TLS) is also supported. 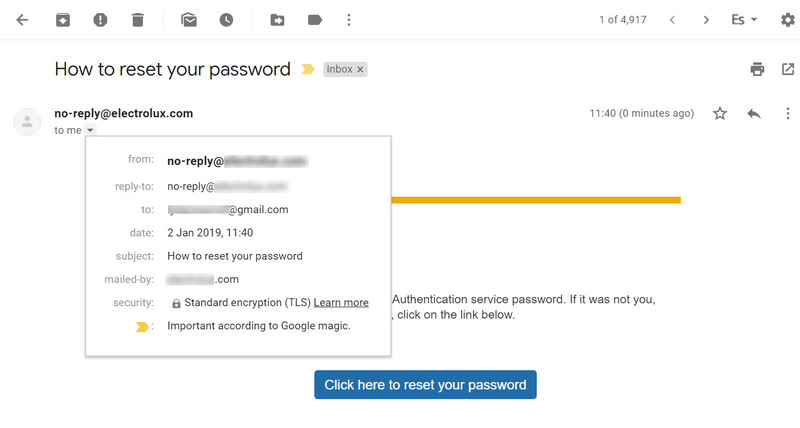 Remember that STARTTLS is an email protocol command that tells an email server that an email client, including an email client running in a web browser, wants to turn an existing insecure connection into a secure one. Ports: Port 587 and 25 are the only option available.Port 25: Remember this port is used primarily for SMTP relaying. SMTP relaying is the transmittal of email from email server to email server. However modern SMTP clients (Outlook, Mail, etc.) shouldn’t use this port, as it is traditionally blocked, by residential ISPs and Cloud Hosting Providers to curb the amount of spam.Port 587: This is the default mail submission port. When a mail client or server is submitting an email to be routed by a proper mail server, it should always use this port. As part of configuration, an user and password to mail server must be provided. This user is not limiting the email account used under section From or Reply to. Host. You can user your own company mail server, but other mail providers also supported such as an account with office 365 or gmail. As indicated previously only ports 587 and 25 are supported. Based on your mail server, 587 would be the preferred option. From: You can specify any email account to be used when sending emails. This email account could be different to the other option reply to, if required. Reply to: Is a common practice nowadays to send emails from generic accounts, but if an user required to reply, an different email account that is monitored is provided in the email sender information or in the email content. User: A valid user for your host is required. An user with authorization to send emails. Password: Provided the valid password for user indicated in previous step.